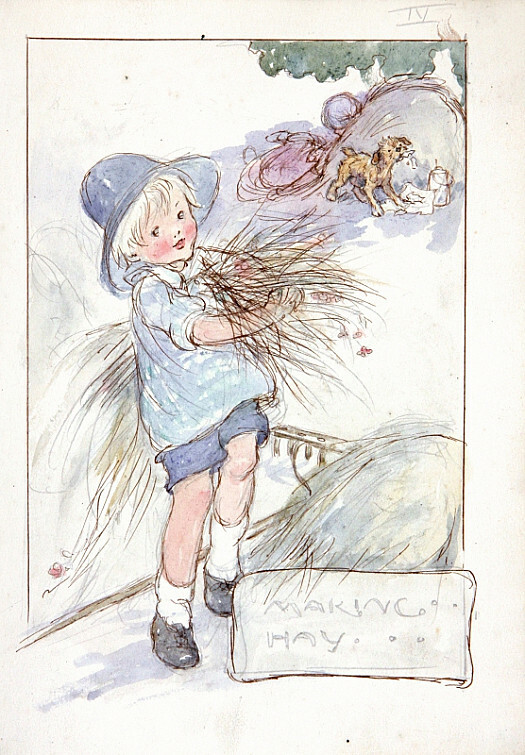 Through her use of line and watercolour, Anne Anderson produced a bright, yet delicate nursery world, which proved particularly popular during the 1920s. 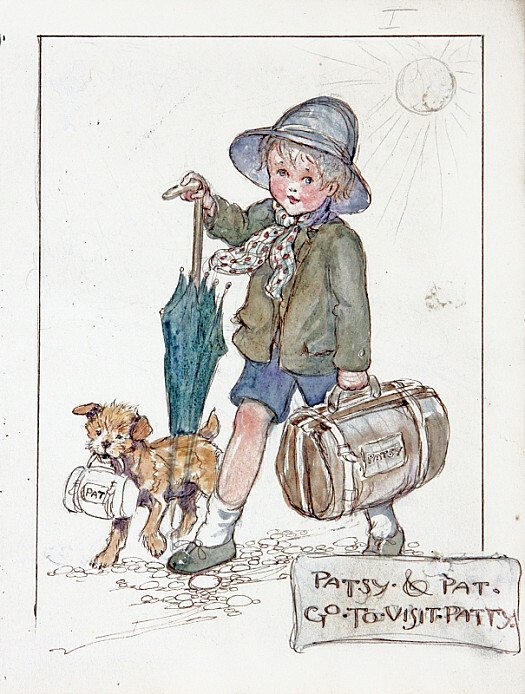 She often collaborated with her husband, Alan Wright, who was a distinctive illustrator in his own right, with a particular talent for animal subjects. Anne Anderson was the daughter of James Anderson, a junior director of Henry Balfour & Co, an engineering firm based at Leven in Fife, Scotland. Born in Walworth, London, while her father was on business, she spent her early years in Scoonie, near Leven, and attended the local school. When her father travelled to Argentina to work on an engineering contract for its government, the family, including Anne, went too. There she made a close friend in Olive Hockin, the daughter of another expatriate. On returning to Britain, Anderson lived for a while with Hockin’s friend, Guinevere Donnithorne, at Palace Gardens, in London. All three friends studied at the Slade School of Fine Art. 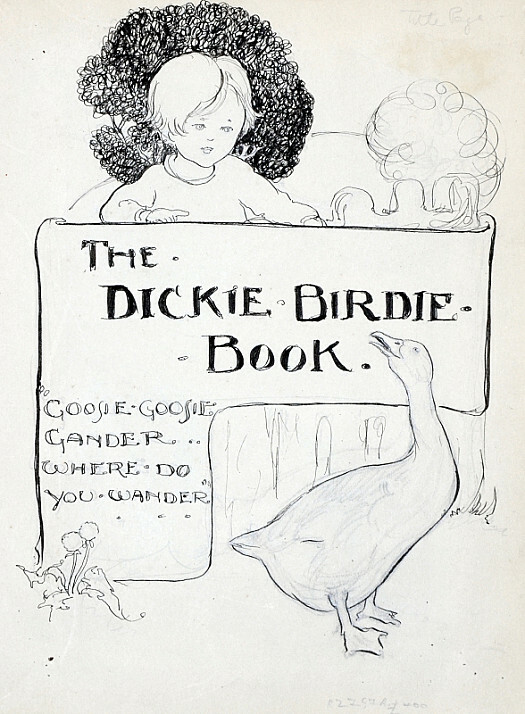 Though first influenced by the Pre-Raphaelites and Hockin’s interpretation of them, Anderson soon looked to such contemporaries as Jessie M King and Mabel Lucie Attwell as she decided to become an illustrator. At the outset of her career, she settled at Little Audrey, the gatehouse to Audrey, the home of Hockin’s family, at Burghfield Common, in rural Berkshire. 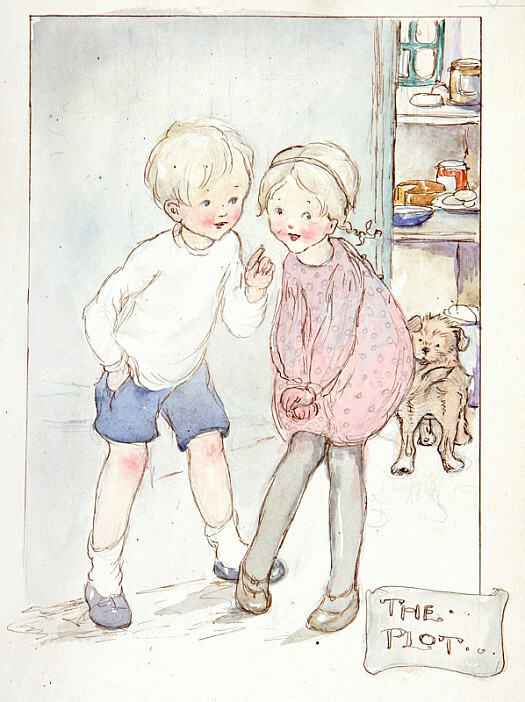 While illustrating books for Henry Froude and Hodder & Stoughton, Anderson met Alan Wright, a fellow illustrator who would become her husband. Wright was born on 30 September 1864. He spent his childhood near Chard, in Somerset, before moving with his family to Hampstead, in London. He studied at St John’s Wood School of Art, and exhibited an oil painting at the Royal Academy in 1889. 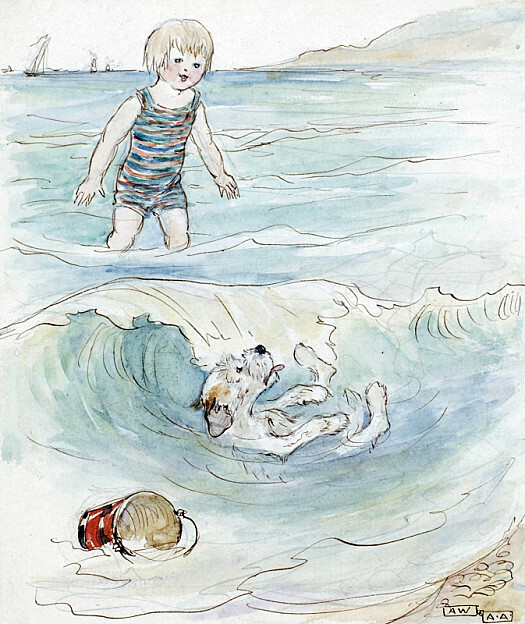 He shared rooms in Hammersmith with Gleeson White, the first editor of The Studio, and began to produce a prolific number of illustrations, including those for G E Farrow’s ‘Wallypug’, a series originally worked on by Harry Furniss. His introduction by Gleeson White to the self-styled Baron Corvo led in 1898 to his illustration of a story of Corvo in The Wide World Magazine. As a result, an all-out personal attack by the press on the homosexual Corvo detrimentally affected his own career. From about 1890 until 1910, he shared a studio-flat in Holland Park with George Vernon Stokes, and his wife, and he and Stokes collaborated closely on several books. However, his fortunes really improved only in 1911, on meeting Anderson. Anderson and Wright married in June 1912, and then lived together at Little Audrey, where they embarked on a working partnership. If Wright’s early work had affected a woodcut style, with Celtic and Gothic emphases, he suppressed a degree of his originality in order to collaborate with his wife, as exemplified by the animals and birds needed in her compositions. 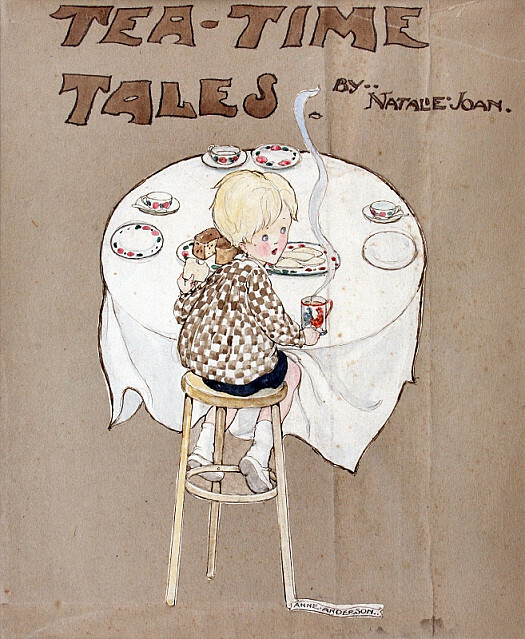 In addition to illustrating more than a hundred books, Anderson produced postcard images and designed nursery china tea sets. She also exhibited paintings and etchings at the Royal Society of British Artists. 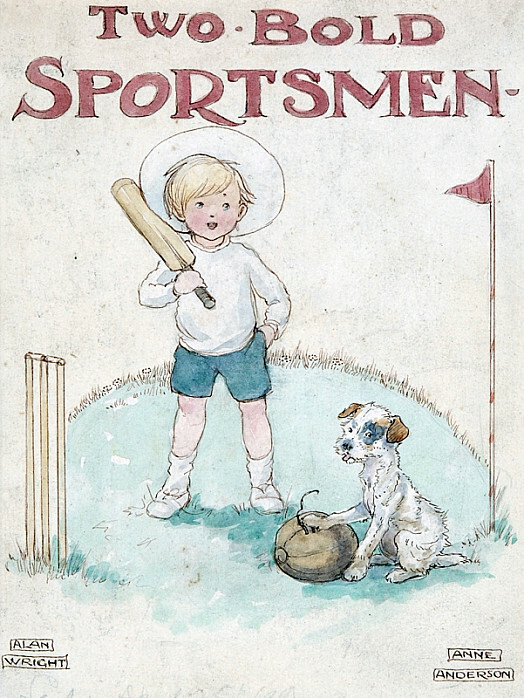 After her death, Wright produced hunting and coaching scenes for calendars and greetings cards.